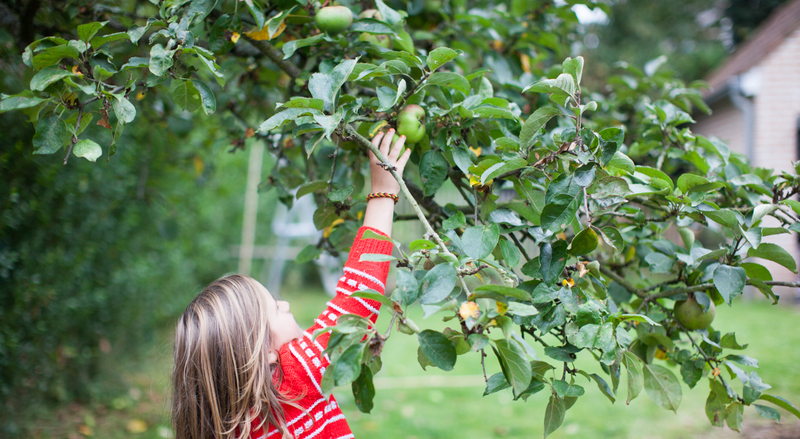 The apple tree in our garden is now full of nutritious and delicious apples. There are so many of them and although we’re eating all of the fallen fruit, there is still so much left and if I don’t figure out what to do with them soon, they will rot on the ground … So at the moment I’m trying to figure out the best ways to preserve them over the winter and here is one way: homemade Apple sauce! In our family we use this apple sauce for everything; at breakfast over oat porridge and milk, sprinkled with cinnamon or as a apple pie filling, or just plain (warmed up) with milk as a dinner dessert or as a after school snack. 1 kg gives about 1 litre of apple sauce to be stored in the freezer or in sterilised jars in a cool and dark place over the winter. This apple sauce is super easy to make too, and will even be cheaper than the cheapest apple sauces on the market. It is also a much healthier alternative than the store-bought ones. 1. 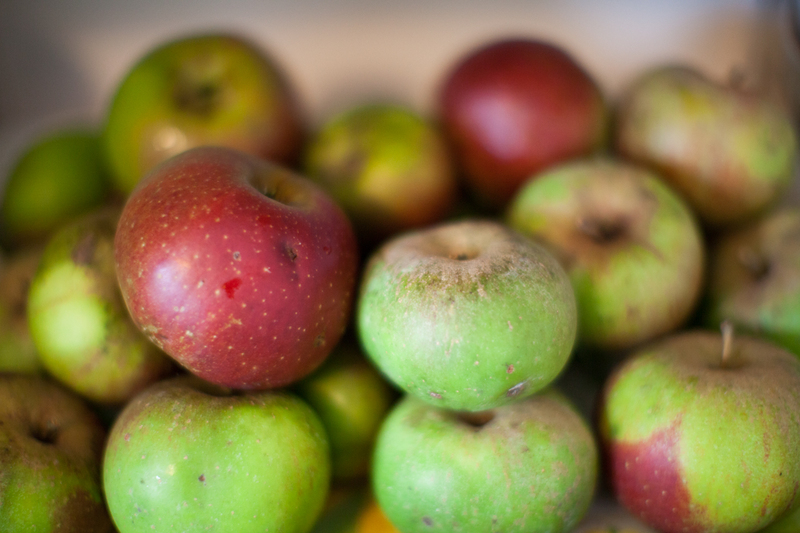 Start by washing the apples, peel them, remove stems and leaves and cut them into large cubes. 2. Add 1,5 dl water to a big pot, add the apple cubes and boil them for about 8-10 min while stirring occasionally. 3. Mash the apples with a potato masher or with a mixer for a smoother sauce. 4. Add the sugar and the ascorbic acid and stir thoroughly. 1. Boil the glass jars and the rubber lids (or the metal lids) in some water in a big pot to sterilise them. 5 min will do 🙂 Save the water! 2. Add the apple sauce to the jars leaving about 2 cm of space left at the top. Put the rubber lids back on the glass jars while wet if you use rubber lid jars. If you use normal screw-on metal lids, just screw them on as tightly as possible. 3. Fold the tea towel in two and add it on the bottom of the pot in which you sterilised the jars. Put the glass jars on the tea towel and slowly bring the water to boil. Leave it boiling for about 20 min. This will make the lids stick to the glass jar, creating a vacuum and store well over the winter. Store the jars in the fridge or in a cool and dry place.